I previously published this on my FB page a few weeks ago and thought to share…..
And you know what I just realized? I sometimes have this conditional love affair with myself, I think we all do, where we live ourselves when we’re bringing our A game but not otherwise. The photo is amazing and your words astounding. Loved this one. So true and eloquently state! Bravo!!! 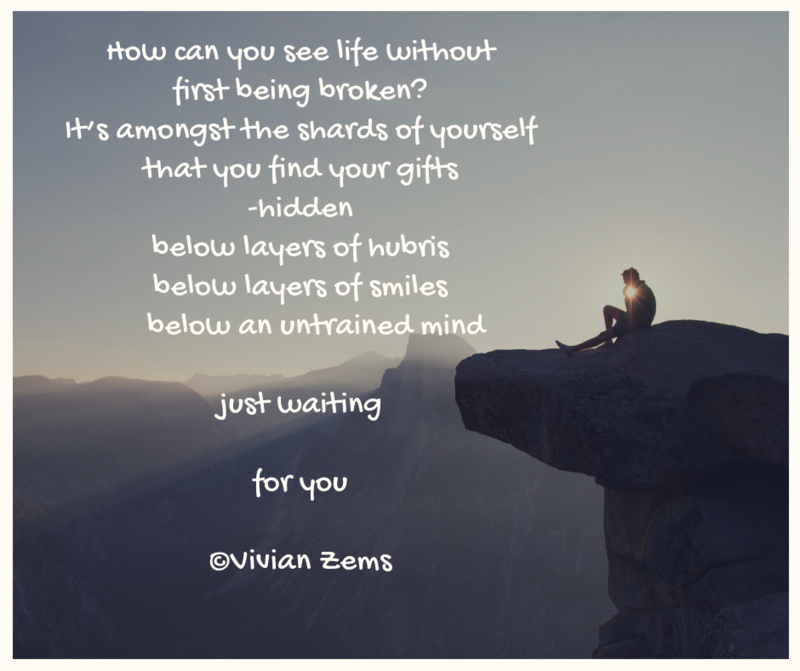 Come read Vivian’s “Different Kinds Of Love”. And see which one you want!